Chevy Volt Runs on Electricity… Except Over 50 MPH? 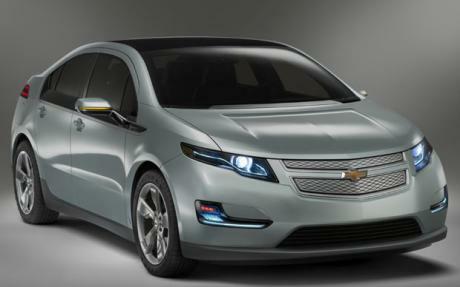 The Chevy Volt extended range electric vehicle is supposed to be GM’s golden ticket to renewed success in the auto world. But now a project engineer claims that the Volt’s wheels may be driven directly from its gasoline engine at high speeds. Sounds innocuous enough, but if true, that would mean that the so-called extended-range electric vehicle can’t operate as an electric vehicle at all if it goes too fast. has a direct mechanical link between the engine and wheels. The Volt is a new kind of electric car known as an extended-range electric vehicle. That means the car runs purely on battery power for a set amount of time (40 miles) before the gas engine begins to power the generator and provide a current to the car’s motor–hence the “extended range” moniker. The problem, according to Voight, is that the electric motor begins to run out of torque when it goes above 50 mph. According to Peterson, there are only two instances when the gasoline engine starts before the battery runs out: in extreme cold temperatures and when the vehicle has been sitting still for an extended period of time. We tend to believe Peterson–he works with the Volt’s development team in the U.S., while Voight is a vehicle support engineer for Opel in Europe (the Volt is engineered in the U.S.). We’ll find out for sure soon enough, but it seems highly unlikely that Peterson would lie about the vehicle’s capabilities.